t*rexes and tiaras: Hillary's High Tea Clutch..
A little while ago now, I was given a heads up about a craft competition being run by Hillary's Blinds. They're challenging people to take a metre of fabric from their new Roman blinds collection and produce something with it. They're pinning the entries here if you'd like to see what else has been produced. I decided to give it a go. I love a good competition and having not been feeling too inspired with all of the sewing projects I've got queued up lately, I thought that having a deadline to work to might help me get back on track. So, I dug out a clutch bag pattern I'd not tried before and set to work. Having used upholstery fabrics for clothing items before (my Cath Kidston Townhouse dress springs to mind as the best example), I have no aversion to stitching garments with fabric which has a tendency to fray like a bugger. I just fancied something I'd not tried before. 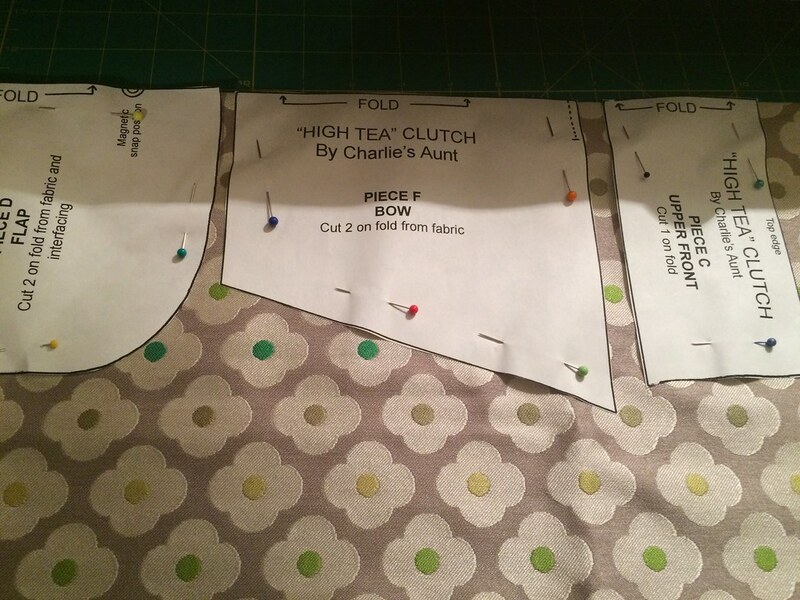 The pattern I used is The High Tea Clutch by Charlie's Aunt. I bought the pattern from Etsy last year with a birthday present in mind, but then went with something else, so this is the first time I'd attempted it. It's a fabulous pattern. 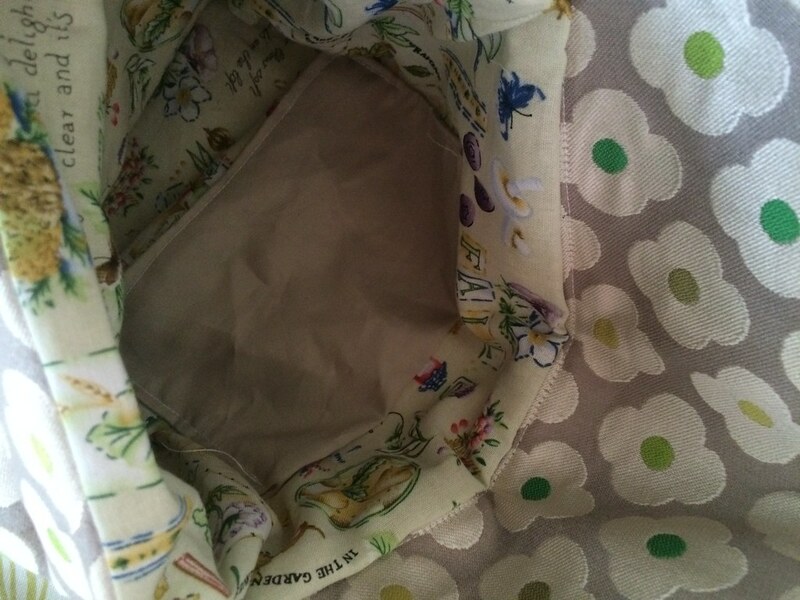 The instructions are simple and it worked really well with this Daisy Pistachio fabric. For the lining, I chose to use some scraps of fabric I have leftover from this dress. I had more than enough of the outer shell fabric left and had considered lining it with the same fabric but inside out, so that there was a contrast, but I decided that this would make the layers of the bag too thick, as it's quite a heavy weight, plus the interfacing I used is quite thick, too. So, a contrasting lightweight cotton it was, with a plain scrap of fabric for the inner pocket. I also began making the bow which comes with the pattern to adorn the front of the bag, but decided against adding it in the end, because I didn't like how it looked. I think the detail of the pleats and the tucked front section are rather lost with it, and perhaps the bow would work better in a green, to match the centres of the flowers and again in a lighter weight fabric. So I might add to it at a later date. For now, though, I rather like how it turned out. Aw, thanks. I'm a real big fan of the pattern. Haha, I wish I could get the hang of crochet. I love this! It makes a prettier clutch than blinds. Haha, yes. I think so. What a cute little bag. I love the fabric - very 50s/orla kiely feeling. 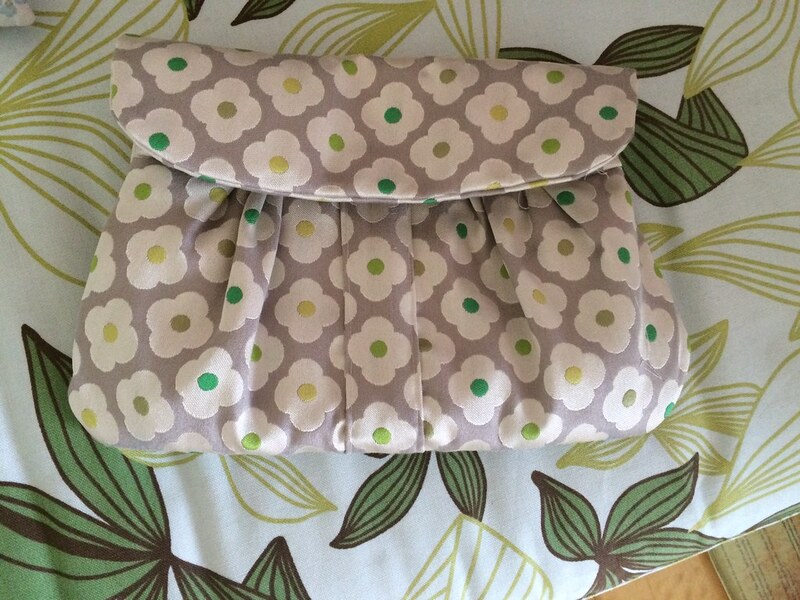 Although I really like the big bow of the original bag pattern (which I have now bookmarked, cheers!) I think your bag looks lovely without. I think that it will be something I make again and I'll add the bow to those if it's a thinner fabric.